Hello, I'd like to say I was looking forward to installing Gentoo without ever having to ask for help, but I'm about as stumped as I can be right now. I have a Broadcom 4311 card and I'm running b43 and ssb. I have wireless connectivity, as in, I can scan for networks and see my home network from wpa_supplicant. I can even initiate a contact with it, but I can't actually connect to the network. I get a 169.254 IP address. Setting a static IP does not fix the issue, so I don't think DHCP is the issue. I tried requesting a proper IP but it did not work. I then tried setting a static IP that would not interfere with the network, but it was still unable to ping other devices on the network. You need to have the 80211 and the wext extensions activated in the kernel for wpa_supplicant. I compile in modules everything not absolutely needed to be in the kernel image to boot properly. It is particularly important if a support need some firmware files who are only available in the real root filesystem after it is mounted at boot time. b43 need firmware files to work. If you compile it in the kernel image, you need to put these firmware files in the kernel image too. Otherwise b43 can fail to drive your Broadcom wireless card. Are you sure that these firmware files have been emerged? If not associated, it may be /etc/wpa_supplicant/wpa_supplicant.conf who need changes. broadcom-sta generally work but the ndiswrapper often fail and should be use last. For 169.254 IP address see https://wiki.gentoo.org/wiki/Wifi#Troubleshooting. I have cgf80211, mac80211, and cfg80211 wext built in to the kernel. I have the firmware modinfo lists, and dmesg also says that I have loaded the b43 firmware. After initializing wpa_supplicant, I do associate with the network. This is where I get the bad IP, so it appears to be dhcpcd after all. I haven't edited the dhcpcd config file. I'm a little confused by this. The resource about 169.254 IP addresses seems to be an unresolved issue. He does seem to be having the same problem as me though. Maybe you could check your router's log to find out what's wrong. Are you dual booting and the device is already known to the router from another operating system? Sometimes deleting the computer from the router's list of known devices helps to solve that kind of problem. If not, could you please provide the lspci -k and dmesg info as described in https://wiki.gentoo.org/wiki/Wifi#dmesg? Put your entire dmesg output onto a pastebin site please. will work after you install wgetpaste. Greatly apologize for the late response; real life caught up with me for a hot second. That's the hard bit. It shows the the extra bits for wifi (over wired) have completed successfully. You have the broadcom debug for your wifi on. Turn that off as often, debug prevents normal operation. There are no signs in dmesg that wlan0 ever attempted to get an IP address. After the authentication and association, did the system turm off the wireless transmitter? Maybe there is already a Dhcp client active who prevent to get a good Ip address. You must verify that no Dhcp client and no instance of wpa_supplicant are active before start wpa_supplicant and dhcpcd. You need to stop those processes. As charles17 said, I would poweroff the computer, reset or poweroff and poweron the router to be sure that the MAC address of your wireless card is not already busy in the router. Only than I would boot to Gentoo. Check your router configuration too. As the wifi did the authentication and association, wpa_supplicant did its thing. There is no disconnect/reconnect cycle, which is common when several network managers try to control the same interface. From dmesg, it looks like wpa_supplicant did its thing, then everything stopped. However, the interface has a link-local address, so its not that simple either. 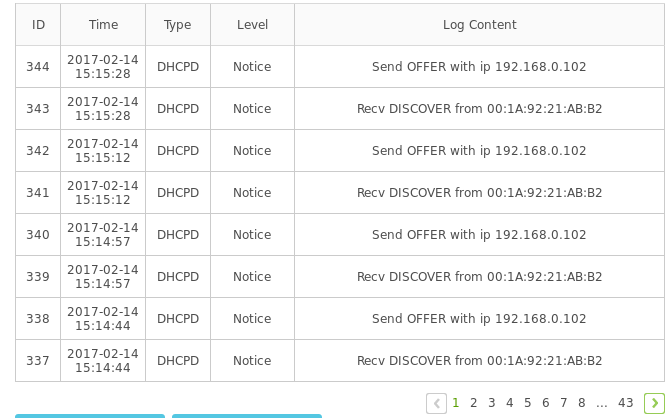 dhclient tell in the output when he receive no offer. I reset my router and am sure the device isn't busy. This one seems to show that there is at least a problem! I will try connecting to a friend's wifi sometime today and let you guys know how that goes. It worked from my friend'a house! I guess the problem then lies with my router, but I can't imagine why it would. My wireless had no problem when running Arch Linux. If your router had registrated the MAC address of your Broadcom wireless card for ArchLinux it may not be available for any other operating system using this wireless card unless you reset the router or you enter in it's configuration interface to remove the busy MAC address of your Broadcom wireless card. Than Gentoo can registrate this MAC address for itself and get an Ip configuration from the router. An alternative possibility is to boot on a live media and try to get connected to your router and get an Ip configuration using your Broadcom wireless card. If the live media succeed, your problem can come from your Gentoo configuration. I suspect its as Logicien says. Your router believes your WiFi has a valid lease, so its refusing to give out another lease to the same MAC address..
That can happen when the system does not surrender its lease on shutdown. There is a hack/test for this. Run ifconfig -a and make a note of the wlan0 MAC address. So its different to the MAC address from ifconfig. Your router will believe its a new device asking for network settings. The real fix is to make the router drop the lease. It will probably do that if you power cycle it. I do not believe this to be the issue. I have power cycled the router, changed my MAC address, and even tried reserving an IP for my interface's MAC address in the router. Still get a link local IP. The router config only shows two devices connected (my phone and desktop pc) and the DHCP leases are set to only last 120 minutes anyway. The router is recognizing my DHCPDISCOVERS and trying to give me an IP. It will even honor it if I give this MAC a reserved IP. Yet I don't get an IP on my laptop and DHClient closes with "No DHCPOFFERS received."